Jeti Spin Pro electronic speed controllers (ESCs) will give you an unprecedented level of programming control for your brushless motors. 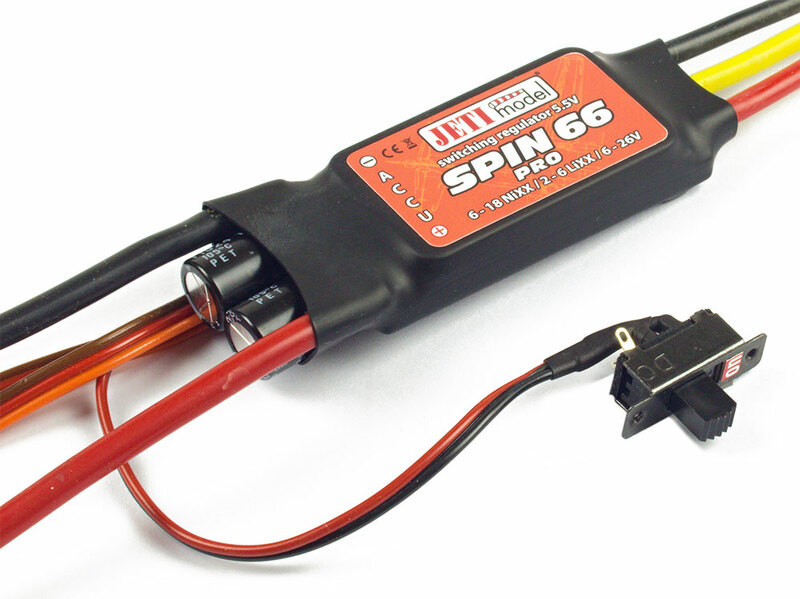 All Spin Pro ESCs can be used in Airplanes, Sailplanes, EDFs, or Helicopters (Constant RPM). 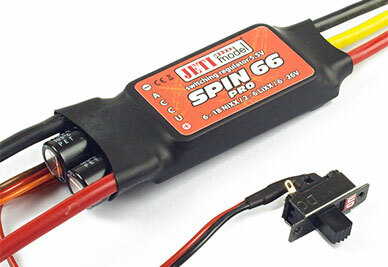 Spin Pro ESCs can be quickly programmed with the JetiBox, no computer needed. Spin Pro ESCs have a Data Logging function that lets you check the readings for peak Temperature, Maximum/Minimum Current, Motor RPM and many other parameters that are recorded. This information can be viewed right on the JetiBox after a flight. This allows you to make adjustments immediately and fly again to see the results. New USB programmability allows you to update the ESC to the latest firmware right from home using Jeti USB Adapter and your PC with Jeti Studio. Fine tuning of your power system has never been easier.